Breast cancer guidelines advise sentinel lymph node biopsy (SLNB) in patients with ductal carcinoma in situ (DCIS) on core biopsy at high risk of invasive cancer or in case of mastectomy. This study investigates the incidence of SLNB and SLN metastases and the relevance of indications in guidelines and literature to perform SLNB in order to validate whether SLNB is justified in patients with DCIS on core biopsy in current era. Clinically node negative patients diagnosed from 2004 to 2013 with only DCIS on core needle biopsy were selected from a national database. Incidence of SLN biopsy and metastases was calculated. With Fisher exact tests correlation between SLNB indications and actual presence of SLN metastases was studied. Further, underestimation rate for invasive cancer and correlation with SLN metastases was analysed. 910 patients were included. SLNB was performed in 471 patients (51.8 %): 94.5 % had pN0, 3.0 % pN1mi and 2.5 % pN1. Patients undergoing mastectomy had 7 % SLN metastases versus 3.5 % for breast conserving surgery (BCS) (p = 0.107). The only factors correlating to SLN metastases were smaller core needle size (p = 0.01) and invasive cancer (p < 0.001). Invasive cancer was detected in 16.7 % by histopathology with 15.6 % SLN metastases versus only 2 % in pure DCIS. SLNB showed metastases in 5.5 % of patients; 3.5 % in case of BCS (any histopathology) and 2 % when pure DCIS was found at definitive histopathology (BCS and mastectomy). Consequently, SLNB should no longer be performed in patients diagnosed with DCIS on core biopsy undergoing BCS. If definitive histopathology shows invasive cancer, SLNB can still be considered after initial surgery. L. M. van Roozendaal and B. Goorts have contributed equally to this work. Since 1989, population-based breast cancer screening was gradually implemented in the Netherlands, aiming at reduced breast cancer mortality by early breast cancer detection. This has also led to an increased detection rate of (asymptomatic) calcifications on mammography, in particular since the introduction of digital mammography. Calcifications can be a sign of ductal carcinoma in situ (DCIS). DCIS is considered a non-obligate precursor lesion of breast cancer [1, 2]. DCIS represents 15–25 % of all (pre-) malignant lesions detected by screening . Treatment of DCIS consists of breast conserving surgery (BCS), frequently followed by radiotherapy, or mastectomy, depending on size of the area with DCIS and breast, grade and preference of the patient. Indications for a sentinel lymph node biopsy (SLNB) are based on the risk for invasive breast cancer. According to literature, invasive breast cancer is found in up to 30 % of excision specimens after diagnosis of pure DCIS on core biopsy. [3, 4, 5, 6, 7, 8, 9, 10, 11, 12, 13, 14, 15, 16, 17, 18, 19, 20, 21] The indications vary among Dutch, English and American breast cancer guidelines and include a solid mass on imaging, extensive calcifications, lesion larger than 25 mm on imaging, a palpable mass, high-grade DCIS, or age below 55 years [22, 23, 24]. The acquisition of informed consent for this retrospective study was waived by the medical ethics committee of Maastricht University Medical Centre, Canisius-Wilhelmina Hospital, Catharina Hospital and the Netherlands Cancer Institute. All consecutive patients preoperatively diagnosed with and treated for DCIS in one centre from 2004 to 2013, and from 2008 to 2013 in the other centres, were selected from the national pathological PALGA database (‘Nationwide network and registry of histo- and cytopathology in the Netherlands’) and considered for inclusion . Clinically node negative patients were included. Patients with ipsilateral invasive breast cancer were excluded. The following data were extracted from the medical records of all patients: radiology outcomes, core needle biopsy methods, surgical procedures and pathology reporting on tumour type, grade, size, and (sentinel) lymph nodes. Core needle biopsy was generally performed stereotactic in case of calcifications and ultrasound- or MR-guided in case of a mass lesion without calcifications. To confirm the presence of calcifications, a radiograph of the biopsies was performed . Surgical treatment of DCIS consisted of BCS or mastectomy, depending on size of the area with DCIS and breast, grade and preference of the patient. The SLN was identified using the triple technique, consisting of lymphoscintigraphy, blue dye, and a gamma probe. Lymph nodes that were radioactive, blue-stained, or suspicious for malignancy at palpation were removed. Core biopsies and SLN’s were routinely processed and stained with haematoxylin and eosin. SLNs were sliced with a maximum thickness of 5 mm. Each paraffin block was step sectioned at 250–500-µm intervals at three levels and stained with haematoxylin and eosin. If no metastasis was detected with haematoxylin and eosin, immunohistochemical staining was performed with anti-cytokeratin antibody MNF116 or AE1CK18. Each lymph node was categorized as benign (pN0), isolated tumour cells (pN0(i+)) (<0.2 mm), micrometastasis (pN1mi) (0.2–2.0 mm) or macrometastasis (pN1-3) (>2.0 mm) . The surgical breast specimen was inked according to a generally agreed colour coding system, sliced with a maximal thickness of 5 mm and routinely processed. DCIS and, if present, invasive breast cancer was classified into grade I, II or III according to the modified Bloom-Richardson grading system. Statistical analyses were performed using Statistical Package for the Social Sciences (SPSS), version 22.0 (IBM Corporation, Armonk, NY, USA). The incidence of the performance of SLNB and if performed SLN metastases in DCIS patients was calculated. Furthermore, a correlation between the indications in the guidelines and literature (mastectomy, solid mass on imaging, extensive microcalcifications, lesion >25 mm on imaging, palpable mass, high-grade DCIS, age <55, core needle biopsy method, core needle biopsy size) for performing an SLNB with the actual presence of SLN metastases was analysed. Also, the incidence of invasive breast cancer in definitive histopathology and the correlation between an invasive component and SLN metastases was evaluated. All correlations were analysed with the Fisher exact test. Subsequent logistic regression analysis was not performed due to the small amount of significant correlations. To examine the consequences of omission of SLNB on systemic therapy indication, the number of patients receiving systemic therapy was studied as was the number of times SLN metastases were the sole indicator to start systemic therapy. A p value of <0.05 was considered statistically significant. Descriptive categorical data are presented as proportions and absolute numbers. Continuous variables are presented as means with standard deviations (SD). A total of 1251 patients were considered for inclusion. Subsequently, 341 patients were excluded for the following reasons: 171 had suspicion for an ipsilateral invasive carcinoma, 167 were incorrectly coded and 3 objected to use their medical record for research purposes. Finally, 910 patients were included. Table 1 summarizes all patient and diagnostic characteristics. An SLNB was performed in 471 patients (51.8 %) (Fig. 1). The SLN showed no metastases in 427 patients (90.7 %), isolated tumour cells in 18 (3.8 %), micrometastases in 14 (3.0 %), and macrometastases in 12 (2.5 %) (Table 2). Of the 26 patients with SLN (micro)metastases (Table 3), 14 patients (53.8 %) underwent completion axillary lymph node dissection (cALND). In 9 out of 14 patients (64.3 %), no additional lymph node metastases were found, in one an additional micrometastasis and in four macrometastases. Final histopathology, of all axillary surgery, showed pN0 in 427 (90.7 %), pN0i+ in 18 (3.8 %), pN1mi in 12 (2.5 %), and ≥pN1 in 14 patients (3.0 %). All guidelines include a mastectomy as an indication to perform an SLNB. A mastectomy was performed in 395 patients (43.4 %) and BCS in 515 (56.6 %). Of the patients treated with mastectomy, 68.6 % underwent an SLNB. SLN metastases were found in 7 % of patients; of which 3.7 % micrometastases and 3.3 % macrometastases. After cALND, final results were 3.0 % pN1mi and 4.0 % ≥pN1. Of the patients treated with BCS, 38.8 % underwent SLNB. In 3.5 % a metastasis was detected in the SLN, of which 2 % micrometastases and 1.5 % macrometastases. Final histopathology results did not change pN-status following cALND in BCS patients. The difference in SLN results between patients undergoing mastectomy and patients undergoing BCS was not statistically significant (p = 0.107) (Table 3). Other indications to perform an SLNB known before surgery like a palpable tumour, mass on mammography, tumour larger than 25 mm, high-grade DCIS, age below 55 and core biopsy method (stereotactic versus sonographically) were not significantly correlated to SLN metastases (Tables 4). The only variable correlated to SLN metastases was smaller core needle size (p = 0.010). Core needle size was known in 336 patients. Upstaging to invasive breast cancer occurred in 28 out of 207 (13.5 %) patients diagnosed with a large 9–11G needle and 26 out of 129 (20.2 %) diagnosed with a smaller 14–19G needle. This difference was not statistically significant (p = 0.074). The indication ‘extensive microcalcifications on preoperative imaging’ was not studied, since the extent of calcifications was unknown for the patients in our cohort (only yes/no). In 152 patients (16.7 %), the initial DCIS on core biopsy was upstaged to invasive cancer in definitive histopathology (Table 2). An SLNB was performed in 80.3 % of these patients and showed metastases in 15.6 % of which 4.9 % pN1mi and 10.7 % pN1 (Table 5). In 349 out of 758 patients (46.0 %) with pure DCIS in definitive histopathology an SLNB was performed and showed metastases in 2 % of which 1.7 % pN1mi and 0.3 % pN1 (Table 5). Invasive breast cancer was positively correlated to SLN metastases (p < 0.001) (Table 4). Numbers are too low to perform further analysis on these findings. Systemic therapy was indicated for 105 patients (11.5 %), according to current Dutch guidelines, because of tumour characteristics. In 17 of these patients (1.9 %) this indication was solely based on the presence of SLN metastases. The aim of this study was to investigate the incidence of SLN metastases in patients with pure DCIS on core biopsy and explore whether this justifies current recommended indications for performing SLNB as published in current guidelines and literature. In our cohort, SLNB was performed in 51.8 % of patients and showed 5.5 % SLN metastases, of which 3.0 % pN1mi and 2.5 % pN1. Final histopathology after breast surgery, SLNB and cALNDs, showed 2.5 % pN1mi and 3.0 % pN1, and invasive breast cancer in 16.7 %. Our results are consistent with the recent studies of Francis and Prendeville [17, 19]. Francis showed 2.9 % pN1mi and 2.4 % pN1 and 21 % invasive breast cancer , Prendeville found 0.5 % pN1, no micrometastases and 30 % invasive breast cancer . The differences with this study are that Francis only included patients that underwent SLNB and that Prendeville had a study population of only 296 patients. 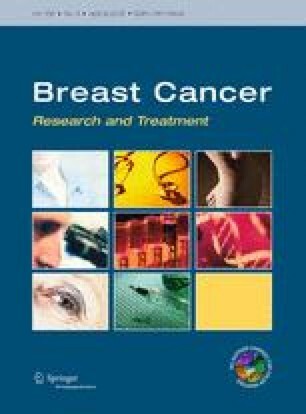 The English, Dutch, and American breast cancer guidelines all advice an SLNB in patients undergoing a mastectomy, since it cannot be performed afterwards [22, 23, 24] Further, mastectomy is often performed in case of a large diameter of a lesion or calcifications on mammography, which is suggested to correlate with an elevated risk of invasive carcinoma . In our cohort, an SLNB was performed in only 68.6 % of patients undergoing a mastectomy, and in 38.8 % in case of BCS. A positive SLN was detected in 7.0 versus 3.5 %, respectively, though there was no significant correlation between type of breast surgery and the presence of SLN metastases (p = 0.107), nor between lesion size >25 mm and SLN metastases (p = 0.435). Other indications to perform an SLNB according to the guidelines and literature where: a solid mass on imaging, extensive calcifications, lesion larger than 25 mm on imaging, smaller core needle size, a palpable mass, high-grade DCIS, or age below 55 years [18, 20, 22, 23]. These indications are based on the risk for invasive breast cancer. In our study, only a smaller core needle size (p = 0.010) and invasive carcinoma as final diagnosis (p < 0.001) were positively correlated to SLN metastases. The correlation between smaller core needle size and SLN metastases might be attributed to a higher rate of upstaging to invasive breast cancer in patients were a needle with a smaller core was used. When a large core needle (9–11G) was used, only 13.5 % was upstaged, compared to 20.2 % for small core needle. Though this difference was not statistically significant (p = 0.074), these numbers show us that the upstaging rate is lower with a modern, large core needle. The correlation between invasive carcinoma at final histopathology and SLN metastases was to be expected. Also, in 2 % of the patients with pure DCIS at final histopathology, SLN metastases were found. To our opinion, these cases probably had occult invasion. In invasive breast cancer, there is a trend to minimize invasive management of the axilla. Patients with invasive breast cancer in the ACOSOG Z0011 (pN1) and IBCSG 23-01 (pN1mi) trials, randomized for watchful waiting after a positive SLN, were likely to have residual lymph nodal disease in 11–27 %. [25, 26] Even though these lymph nodes were not surgically removed, overall survival was not affected and regional recurrence rate low. This implies that the remaining 5.5 % SLN metastases in our cohort will not affect overall survival and regional recurrence rate. The main difference with ACOSOG Z0011 is that those patients were mostly treated with adjuvant systemic therapy (97 %) and always underwent BCS with radiotherapy. Other arguments for safely omitting SLNB in patients with DCIS on core biopsy could be selected from the NSABP B-04 trial. Only half of remaining nodal metastases became clinically relevant. Further, a delayed ALND, in case lymph nodes became clinically positive during follow-up, did not affect overall survival and disease-free survival, in patients with invasive breast cancer whom were not treated with adjuvant systemic or radiation therapy . Multiple trials are now investigating the safety of omitting SLNB in clinically node negative invasive breast cancer patients treated with BCT [27, 28]. DCIS so far escaped from this trend to minimize invasive staging and treatment of the axilla. Biology, loco-regional and systemic therapy all have a role in survival and (regional) recurrence. In our cohort, radiotherapy was administrated in case of BCS and rarely in case of mastectomy. Systemic therapy was indicated in 11.5 % of patients based on the presence of primary invasive breast cancer characteristics and/or nodal metastases. If no SLNB would have been performed at all in this population, the indication for systemic therapy would have been missed in 1.9 % of patients. Our study is limited by its retrospective design. In 48.2 % an SLNB was not performed. Unfortunately, the exact reason for (not) performing an SLNB could not be retrieved. Further, the low event rate of SLN metastases limits the opportunity to perform comprehensive (prognostic) analyses. This low event rate also implicates that SLNB is of limited value in patients with DCIS in current era . The study of Broekhuizen et al. already demonstrated that the survival of DCIS patients is not affected by SLN micrometastases . In conclusion, the SLNB contained a metastasis in 5.5 %, of which 2.5 % macrometastases. In patients undergoing a mastectomy, 7.0 % had SLN metastases. For BCS this was 3.5 %. None of the guidelines indications to perform an SLNB was correlated to SLN metastases. The presence of an invasive component in the excision specimen however is significantly correlated to SLN metastases, with a chance of 15.6 % of SLN metastases in case of invasive cancer versus only 2 % in case of pure DCIS at final histopathology. To our opinion, SLNB should no longer be performed in patients diagnosed with DCIS on core biopsy in case they are treated with BCS. SLNB can still be performed afterwards, if final histopathology reveals invasive breast cancer. This way, DCIS patients are not needlessly put at risk for complications and unnecessary medical costs.